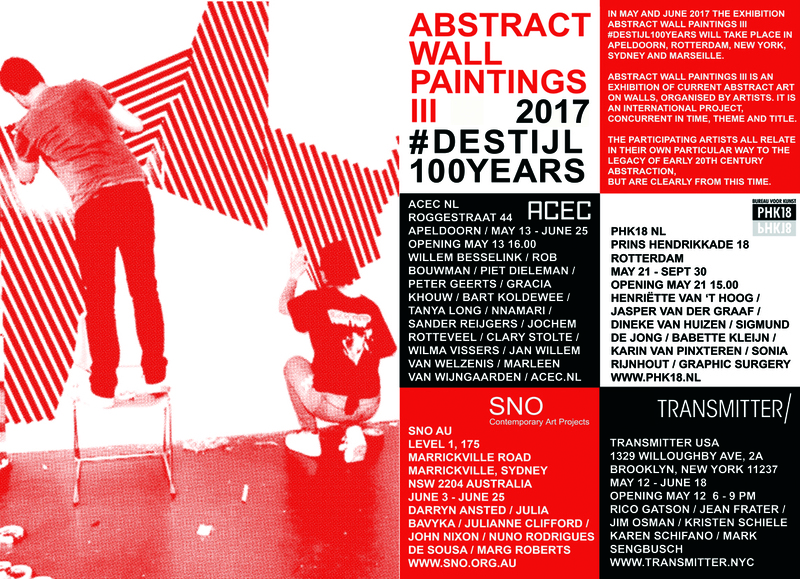 ABSTRACT WALL PAINTINGS III is an exhibition of contemporary abstract art on walls, organized by artists. It is an international project, concurrent in time, theme and title. Several art spaces partnered up to make this project possible simultaneously and in connection with the 100th year anniversary of the art movement De Stijl.